If you are an individual player looking for a team to join, please contact Dan at dmarkewich@evrazplace.com or sign up using Hockey Finder. Payments can be made online through Player's Bench or in person at the Information Desk in The Co-operators Centre with Visa, MasterCard, American Express, Debit, Cash or Cheque payable to "Evraz Place". We do not accept post-dated cheques. Payments can be made online through Player's Bench or in person at the Information Desk in The Co-operators Centre with Visa, MasterCard, American Express, Debit, Cash, or Cheque payable to "Evraz Place". We do not accept post-dated cheques. 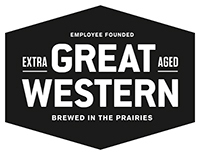 Get ice-cold Great Western beer delivered right to your team’s dressing room with our exclusive CCHL Beer Drop Program! How does it work? Before your game starts, go to the Information Desk located to the right of The Co-operators Centre main doors to place your beer drop order. Payment can be made by credit card (Visa, MasterCard, American Express), debit, or cash. Once your order has been placed, it will be dropped off 15 minutes before your game is over. One beer order at a time will be serviced per ice rental per team. Due to liquor regulations, cans will be opened when they are left in your room. Play, eat, drink and win - it’s that easy! Use your CCHL Team Member Card at the Western Pizza Lounge (located on the second level of The Co-operators Centre) and earn one loyalty point for every $1 you spend. Every 50 points collected by your team will earn you one ballot into a monthly draw plus one entry into the grand prize draw at the end of the season! You team will also collect points whenever you place a beer drop order! The monthly prize will be a Western Pizza Lounge Team Party consisting of two pitchers, a pizza and nachos. 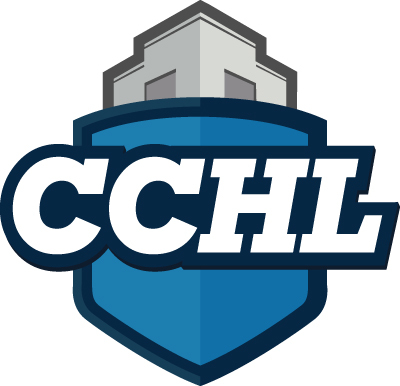 The grand prize winners will receive a $4,000 credit towards their fees for the following CCHL winter season. Access to the Adult Safe Hockey Network's team management platform, Player's Bench which includes online payments, player attendance tracking, game reminders, team messaging, and more!